Every traveler will find something great to see in Europe. For those who travel on a college budget, it also has a wide variety of places with tasty cuisine, stunning architecture, and beautiful nature. The Old World has a lot to offer to tourists regardless of the country one chooses to visit. But where do you go? If you’re looking for some cheap European destinations (that won’t burn a hole in your pocket), you’ve come to the right place. This article reveals ten incredible European countries that will be sure to amaze without spending a lot of money. Ready to choose? Let’s go! Bulgaria is one of the most interesting Eastern European destinations because of rich history, gorgeous architecture, friendly people, and delicious cuisine. The country is essentially a cultural melting pot with Persian, Slavic, Greek, and Ottoman influences, so the tourists have the opportunity to experience multiple different cultures in one country. It is also perfectly suited for a college budget! Poland has always been one of the best destinations for student tourists because of the lower prices compared to the Western countries like France and Spain. However, the amount of amazing things to see in Poland is the same! For example, the Tatra Mountains, Wawel Castle, Lazienki Park, Krakow Cloth Hall, Slowinski National Park, Jasna Gora Monastery, and many other sights will leave you speechless. The cost of such incredible experiences will pleasantly surprise you as well! Check out the Backpacker index below. Ukraine is one the hottest countries in the game right now. With the recent signing of the free trade area and association agreement, this country has been achieving an impressive development in terms of tourism. It is also one of the most unexplored European countries that has a lot to offer; for example, did you know that Ukrainian city of Lviv ranks as the top Eastern European city to see just after Prague? More good news: it is very cheap to visit! Fortified Medieval castles, 14-century buildings, museums, concert halls, gothic churches and fortresses – all this awaits you in this beautiful country. The Czech Republic is a well-known budget destination in Europe, with perfectly preserved architecture, world-famous beers, and gorgeous nature. I would recommend a visit to this country for those students studying at Architecture and Design faculties and those writing their college papers on Gothic Architecture. Good thing it’s relatively cheap and accessible to students! Fairly cheap under Western European standards, Croatia is another great destination for tourists. There are many reasons why you should visit this country. For example, it has the world’s most atmospheric Roman ruin, gorgeous beaches, stunning national parks, and majestic mountains—and, oh, by the way, Game of Thrones was filmed there. This country is awesome: old towns, art nouveau architecture, beautiful beaches, Rundale Palace, ancient castles, and fairytale forests! For students, it is also quite a bargain, as it ranks much cheaper than other neighboring countries. The capital of Slovakia, Bratislava, is considered as stunning as Vienna and other Western European cities, but it holds one considerable advantage: it’s much cheaper! It also has mountains, old architecture, and pleasant nature and will have you falling in love on your first visit. The country is well-known for its cheap hotels and doesn’t require additional presentation. 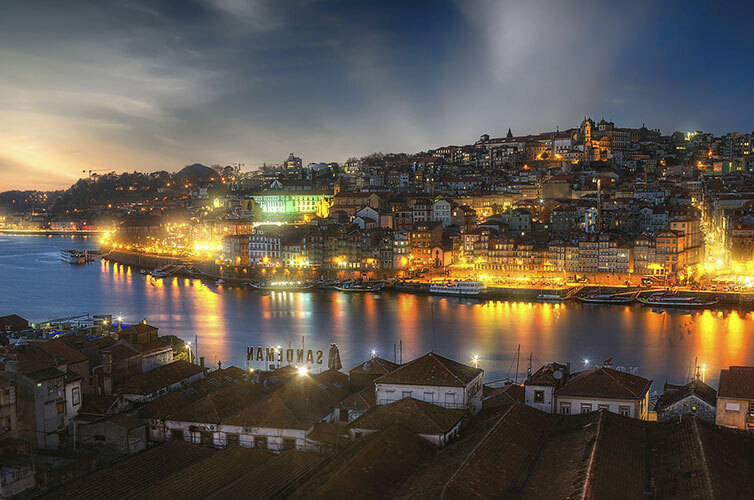 It’s a good idea to travel there because it has an amazing history, unique culture, seas, hot springs, and the second-oldest capital city in Europe (Lisbon). And don’t forget about the local cuisin as well, especially if you’re a fan of seafood. They have everything from fresh fish to octopus! At the end of the day, doing a little research can really pay off (literally). So don’t be afraid to start planning your next trip to one of these amazing countries today. Especially with these cheap flights, you won’t be able to say no. Diana Clark once gave up her educator career for something she always dreamed about—writing. Diana is a freelance writer at Awriter. She discovers the world of digital nomads and believes that some day people will become location independent. Feel free to follow Diana on Twitter.